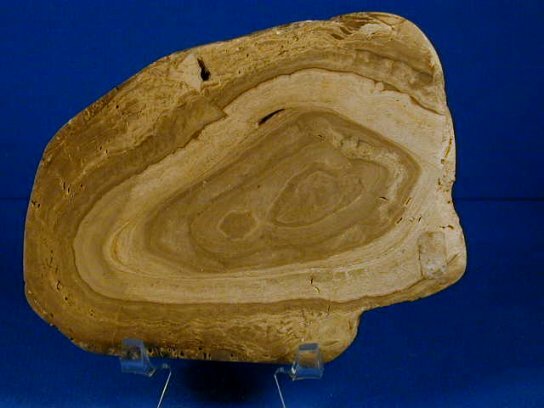 It is common to think of Australia when stromatolites are mentioned owing to the famous Shark Bay living stromatolites, as well as the bacterial microfossils and molecular fossils found in inland Australia that date to before 3 billion years ago. 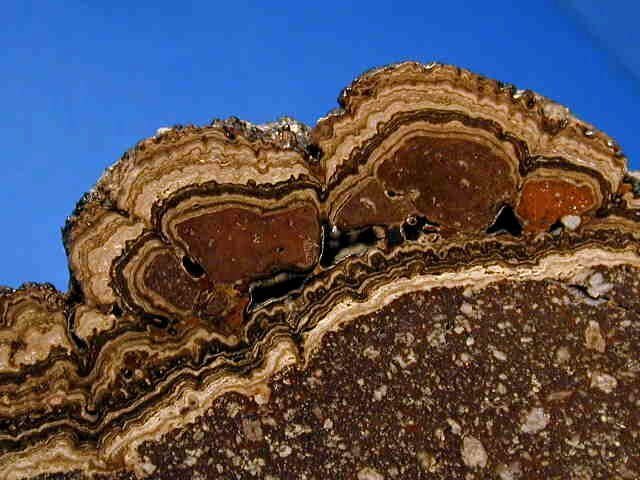 In fact, however, American North, South and Central) has numerous outcrops of stromatolites spanning across the continent as well as geological time. 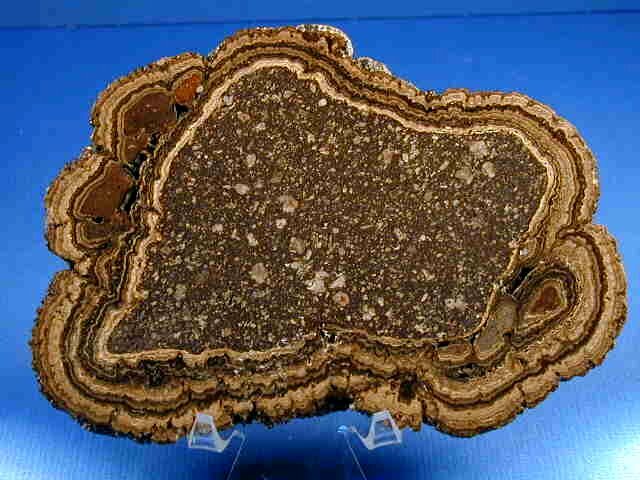 Older stromatolites are particularly abundant in the Northern states of Wisconsin, Michigan and Minnesota dating from about the upper Archaean to the Lower Proterozoic, including expansive banded iron formations that stand as testament to the rusting of the earth. 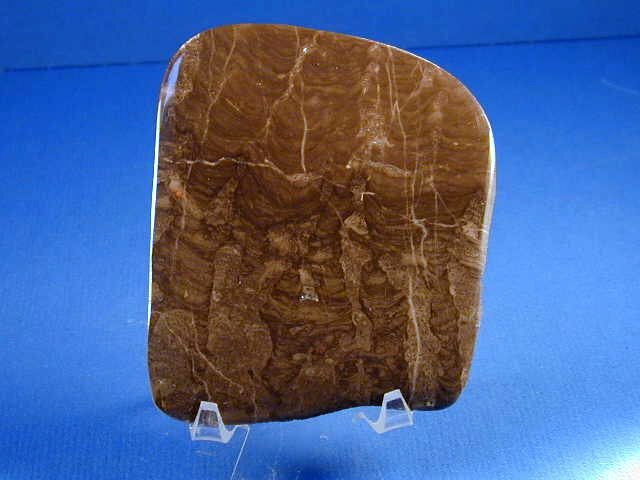 The American stromatolites image gallery below has specimens that have been cut and polished to a mirror finish. 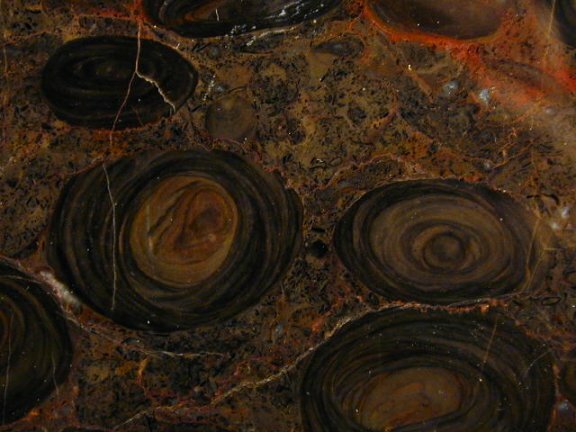 While rough stromatolites are generally dull and unremarkable in appearance, the fine polishing renders the inherent beauty of the oldest fossils on earth, including a myriad of colors and much variation in form genera and lamination structure. 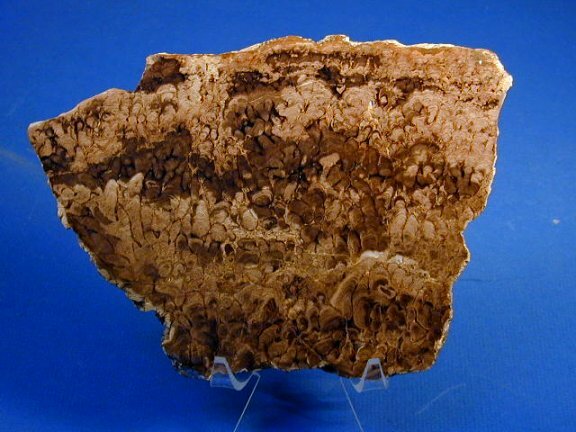 By this time in geological history, microbial communities consisted of complex consortia of both prokaryotic and eukaryotic forms with diverse metabolic needs, and competition for resources and differing motility among them made for an intriguing microcosm of interacting life, some autotrophic, some chemotrophic and some heterotrophic. 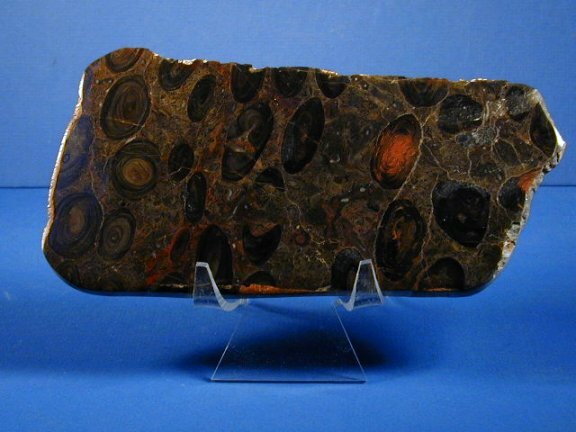 By the time it was formed, the cyanobacterial organisms and their stromatolitic reef systems were becoming quite restricted on earth, having retreated to environments less favorable to other marine life (including other microorganisms, algae and animals) with which they competed or from which they suffered predation. 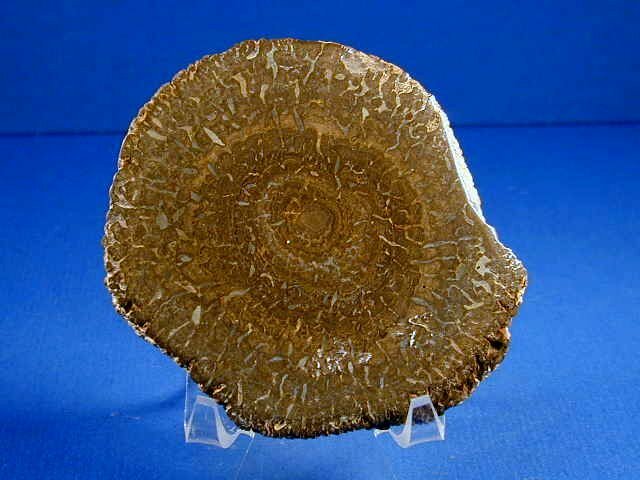 The form genera of the laminae is rather unusual having resemblance to cauliflower. 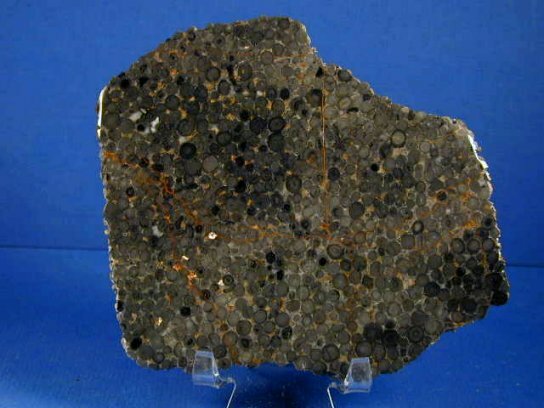 The pattern is very attractive. 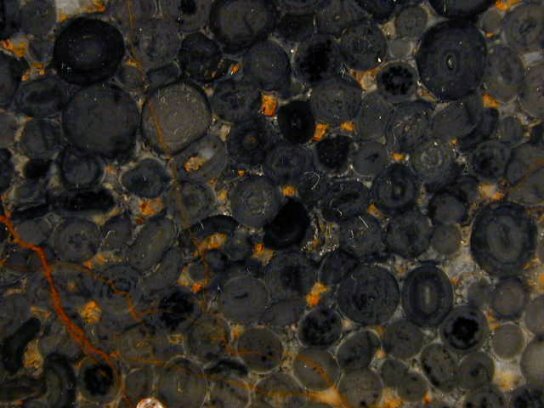 The oval to circular structures in these images are bacterial fossil nodules, referred to as Girvanella. 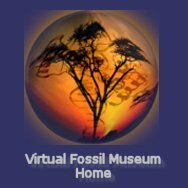 Of interest from a scientific perspective is the young age. 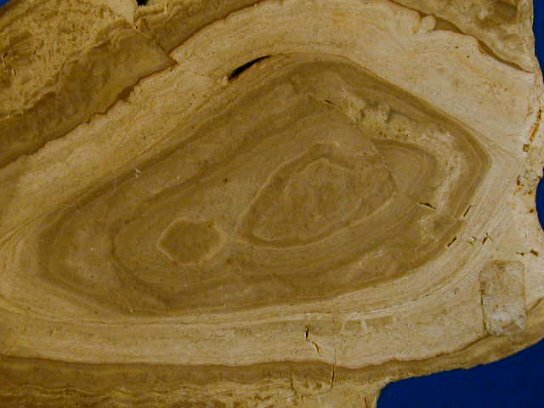 This dinosaur-age, Cretaceous stromatolite was formed long, long after stromatolite-building organisms had to compete with other life forms, and hence had become uncommon on earth, similar to modern times. 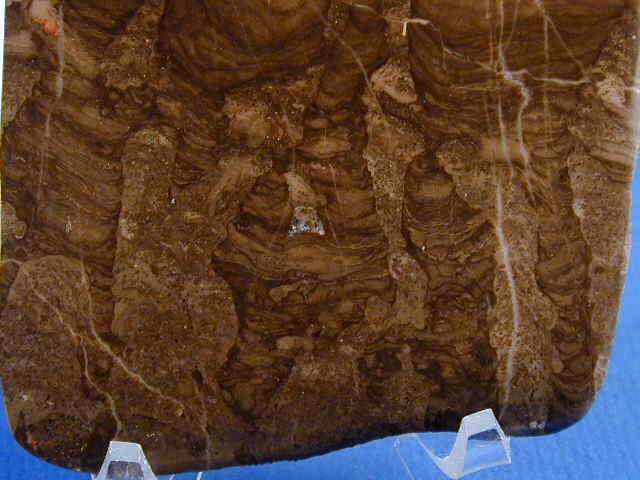 The microorganism(s) that form this stromatolite is unknown. Perhaps it was photosynthetic cyanobacteria, other prokaryotic bacteria, Eukaryotic algae (often considered a simple plant), or perhaps some combination of these types of organisms competing to survive in a not-so-friendly aquatic environment. 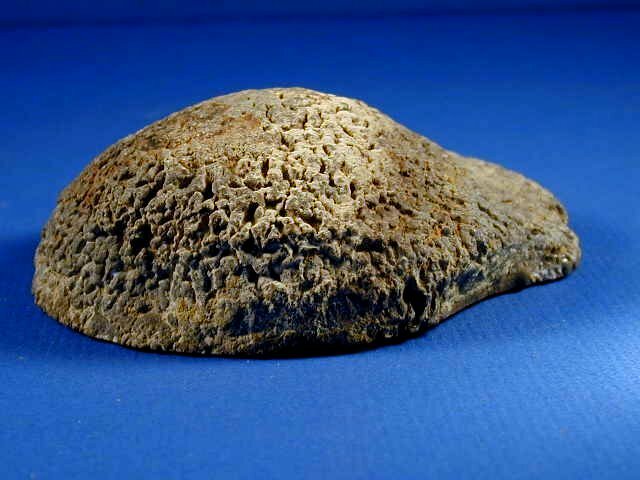 Specimen has been polished by wind and sand. May be of algal biogenic origin. 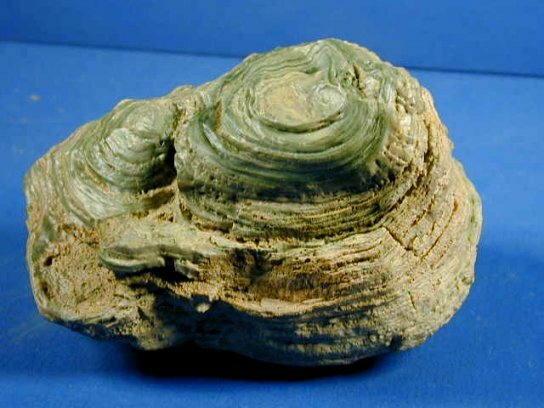 Interestingly, this Cryptozoon type stromatolite was very likely to have been built by plant-like green or red, algae (Chlorophycophyta), as opposed to cyanobacteria (that are Eubacteria). 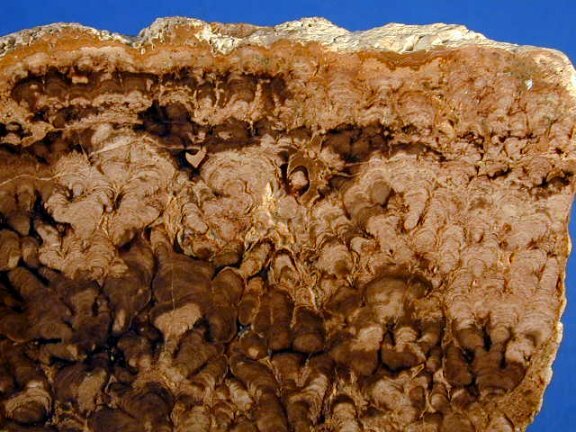 It is hypothesized that red and green algae appeared some 800 million years ago having acquired chloroplasts from eukaryotes through endosymbiosis to carry out photosynthetic metabolism using sunlight for their energy needs.